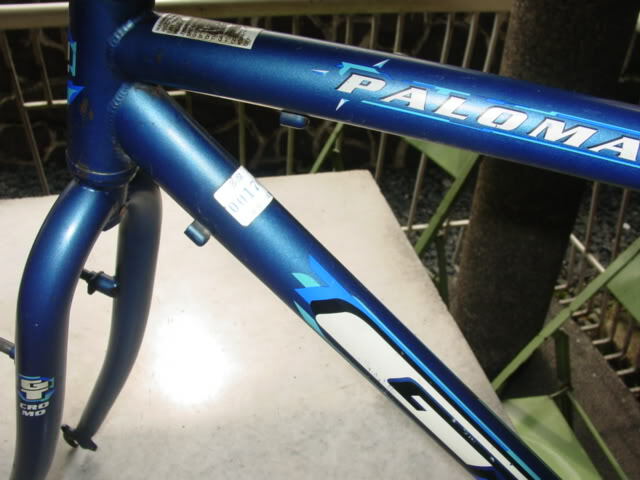 i have a old school gt palomar which came from japan. cromo all the way even the fork. i just need suggestions for my set up here are some pics. what i have in mind is weight weenie wheelset. decent components and SS converter for the meantime while i save up for the SRAM drive train. Bigay ko na lang sayo, pero sure ako 1 1/8 yang fork mo so sakto. hope it's 1 1/8 do you plan to use the rigid fork? 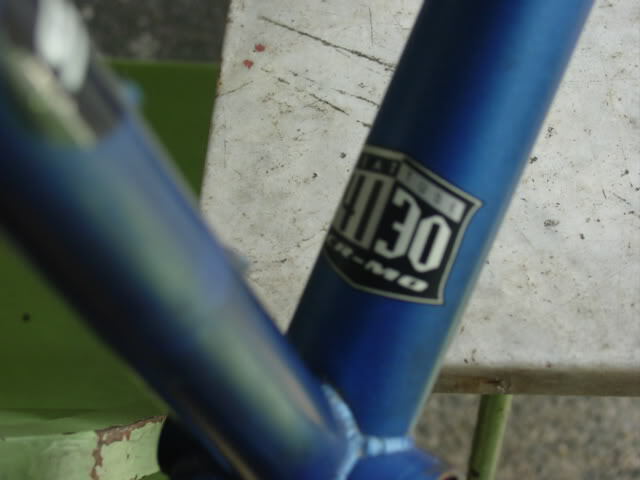 @ryanusuke sir il take a picture later and post it hehehe its the normal dropout sayang nga hindi pang ss eh heheh its 1 1/8 nga kasha yung lumang suspension fork ko eh.may nabibili pa ba na threaded na headset? looks like your dropouts are semi vertical. there's a chance you could go tensionerless! good luck! measure your headtube! mukhang tama si ryan na 1 1/8 yan.. hope you could find a headset for it. 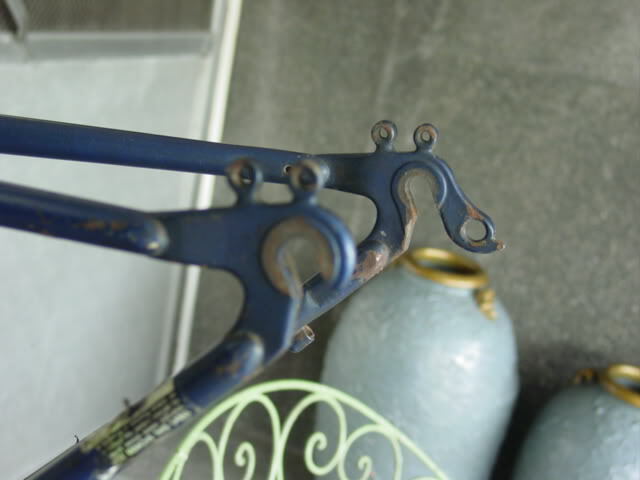 sa old school frames, ano ang gamit nung 2holes sa dropout? 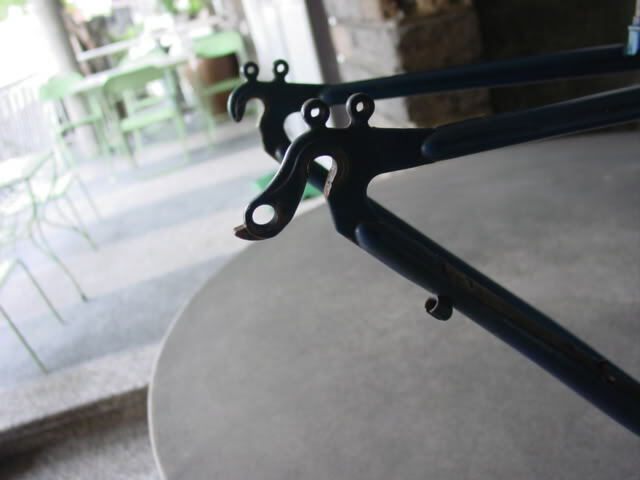 rear rack? yihheee, gusto mag touring bike! kulot, design yata yan para mag mukang mata ni gary ng bikini bottom. hahaha! di ba para sa support ng rack/pannier sa likod. Tolits wrote: kulot, design yata yan para mag mukang mata ni gary ng bikini bottom. hahaha! NgiyaWW! hehe...Support nga po sa pannier, ni shave ko yung ganun nung steel frame ko. @duds, bro, pm mo sken contact info mo.hehe...meet po tayo para sa converter, swap na lang with any small item..hehe ex. 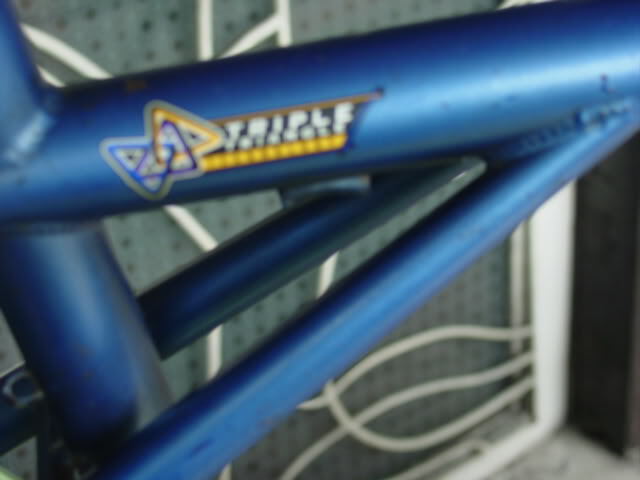 GT steel frame... dyok lang. 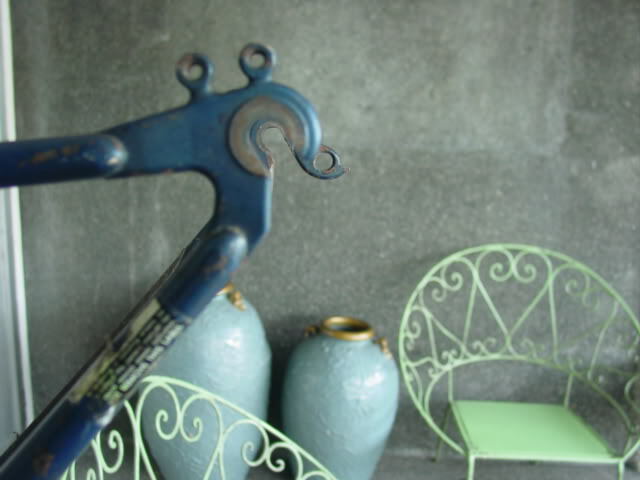 @duds- im also currently restoring an old DB crmo bike. am in the process of scraping off the old paint so i can have the frame powder coated. mukhang standard naman head ng frame mo. madami pang mabibiling threaded headset. may nakita pa nga akong XT. kung gusto mo ng threadless may nakita ako mga tange saka aheadset. bakit mo gusto gamitan ng adaptor saka threadless stem? 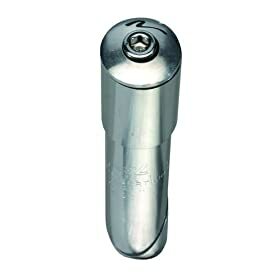 hindi kaya mas mabigat pa yung may adaptor kesa yung standard stem na alloy? may mga nakita din akong attack racing saka control tech na old school stem. ganda! i-bad influence kita... restore mo na lang sa retro yang GT mo! pa-powder coat mo tapos pagawa ka ng decals na katulad nung original! @vwbeettle meron nga ako sir pang threaded na headeset stem na kore kaya lng dami na gasgas hehehe pero pwede pa siguro irestore ehehe. headset na threaded nlng kailangan ko. wala pa budget parepaint eh heheh. gamitin ko nlng muna as is thanks sa mga suggestions and opinions mga sir. dang! ganda ng gt mo bro. 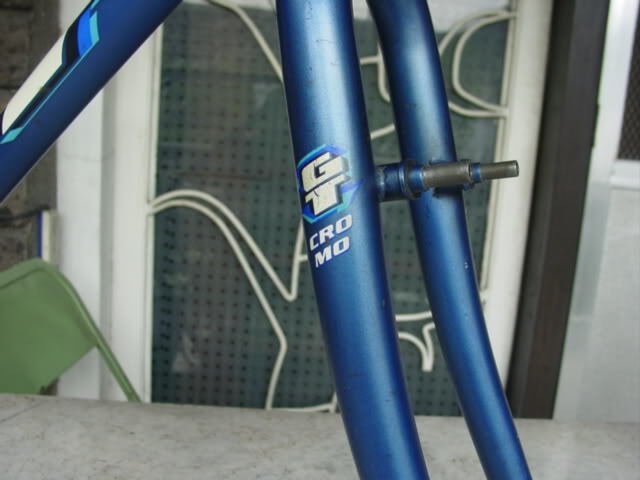 i,m an avid fan of gt and have been looking for a gt cromo frame for the longest time. ingit ako syo. benta mo na lang sakin hehehe i have two gt's unfortunately both are aluminum. try to look if you can find the magic gear para wala tensioner or use a half link. 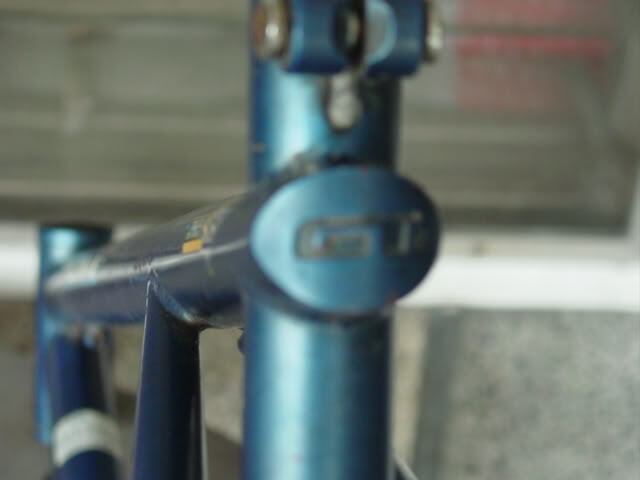 un mga old frames kasi usually sakto un chainstay length to go tensioner less. re: the fork, yes threaded headsets are still available, try decimal in quiapo, bought one there a year ago, tange ...made in japan or you can convert the fork to a threadless one. reminder you have to cut all the threaded section of the fork and have the extension welded. un section na un kasi ang nababali sa mga converted forks. 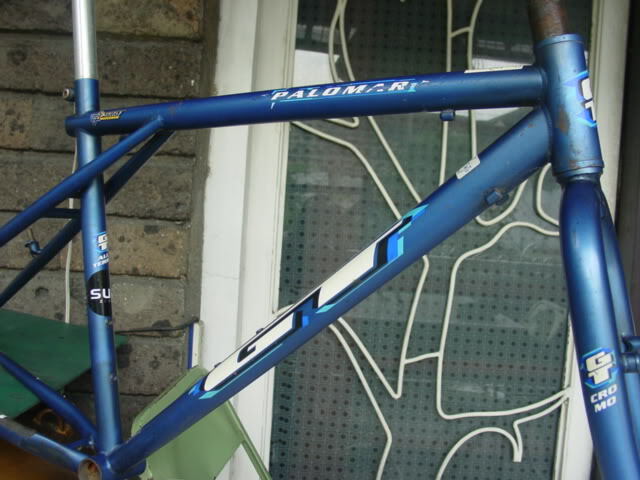 re: the paint... just clean the frame and touch up the exposed parts with nailpolish or have a painter retouch the rusted portions or just clearcoat the whole frame with a satin finish. personally i would just leave the paint as is, just retouch the exposed parts... mas retro looking at orig... may battle scars k pa na maipagyayabang. good luck on your build.